Hi, I’m Tim. 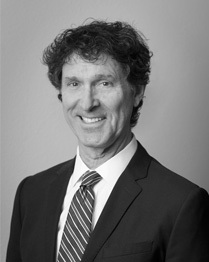 I am the lead attorney of our firm here in Santa Cruz, and I’ve been a practicing lawyer for over 35 years. I began my professional legal career in 1974, serving as a Captain in the Army Judge Advocate Generals Corps in Washington D.C. In 1979 I left the Army and headed to Santa Cruz, the city where I was born and raised, to start my own private practice and I’ve been serving the people of the greater Santa Cruz area ever since. Over the years, our firm has evolved to serve the special needs of our local clients in the areas of real estate law, estate planning and administration, and business law. In addition to my professional service, I have been heavily involved in our local community and community organizations including the Santa Cruz Chamber of Commerce, the UCSC Foundation (my alma mater), the Boy Scouts, church, and most recently, the Dominican Hospital Foundation. I’ve found that a lifetime community involvement and local connections has been of great value in serving those who have looked to our firm for help with their legal affairs. Below is a brief overview of my professional and community work. Take a look, and let’s talk about how I can help you.